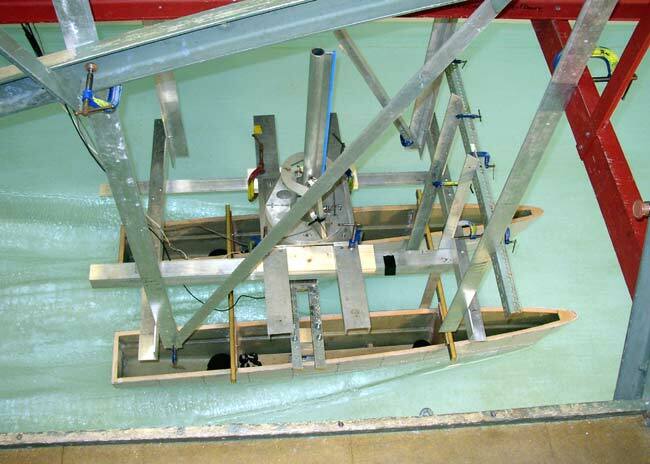 Ecocats E34 hulls modelled and being tested at Southampton University for The Port of London Authority. 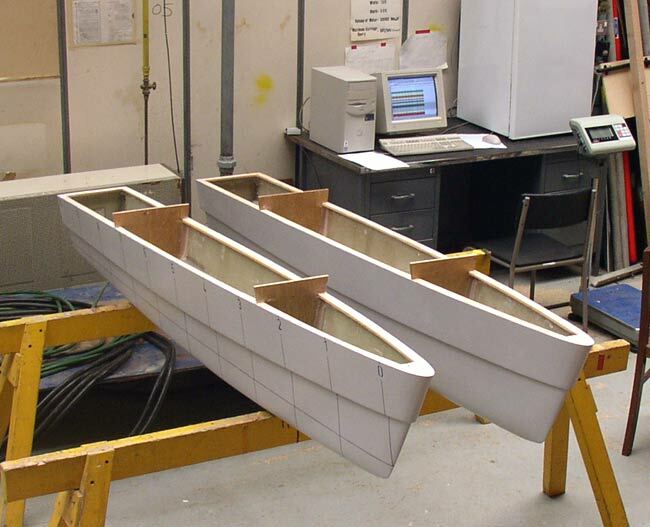 The hulls shown are 1:5 scale models of a 10.38m waterline hull being considered for use as patrol craft on the River Thames. 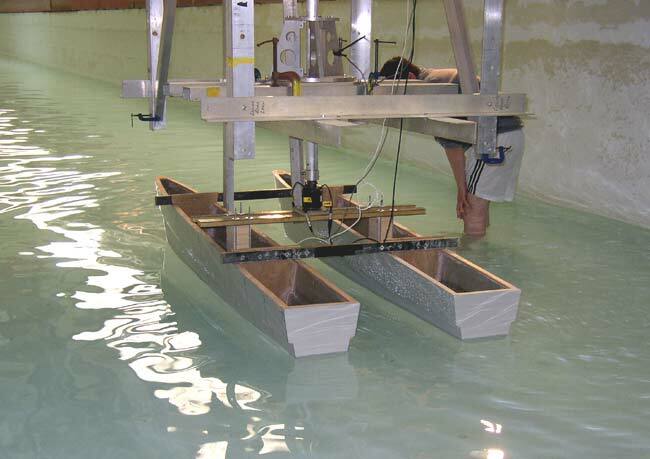 The requirement is for low-wash medium displacement hulls.